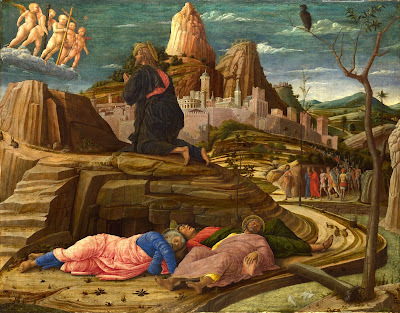 PROPER OF SAINTS - The Mount of Olives Witnesseth is a translation by Fr. Hugh T. Henry (1862-1946) of In Monte Olivis Consito by Fr. Augustine Thomas Ricchini, OP (1695-1779). In 1757, Fr. Ricchini composed this hymn along with 3 others for the Feast of the Most Holy Rosary. Originally included only in the Dominican Breviary, they were added to the Roman Breviary in 1888. The four hymns are essentially one work: the first 3 hymns are comprised of 5 stanzas each (plus doxology) which correspond to the 15 mysteries of the traditional Rosary. The final hymn: Te Gestientem Gaudiis (the only one in use today) is a recapitulation of the first three hymns. In the Roman Breviary, In Monte Olivis Consito (which has as it's theme: the Sorrowful Mysteries) was traditionally sung at Matins on the Feast of the Most Holy Rosary (Oct. 7). The Mount of Olives Witnesseth can be sung to any hymn tune with 8.8.8.8 metre such as the 7th century Latin hymn: Creator Alme Siderum, as featured in the following video. His sweat of blood bedews the sod. Quivers beneath the blood-red scourge. To crown with shame His royal brow. Up the verge of Calvary's mount. Breathes forth His soul, and all is done! 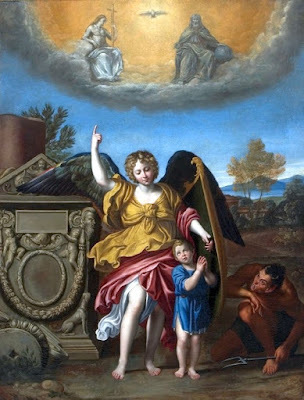 PROPER OF SAINTS - The Messenger from God's High Throne is a translation by the Catholic convert, Alan G. McDougall (1895-1964) of Caelestis Aulae Nuntius by Fr. Augustine Thomas Ricchini, OP (1695-1779). In 1757, Fr. Ricchini composed this hymn along with 3 others for the Feast of the Most Holy Rosary. Originally included only in the Dominican Breviary, they were added to the Roman Breviary in 1888. The four hymns are essentially one work: the first 3 hymns are comprised of 5 stanzas each (plus doxology) which correspond to the 15 mysteries of the traditional Rosary. The final hymn: Te Gestientem Gaudiis (the only one in use today) is a recapitulation of the first three hymns. In the Roman Breviary, Caelestis Aulae Nuntius (which has as it's theme: the Joyful Mysteries) was traditionally sung at 1st Vespers on the Feast of the Most Holy Rosary (Oct. 7). The Messenger from God's High Throne can be sung to any hymn tune with 8.8.8.8 metre such as the 7th century Latin hymn: Creator Alme Siderum, as featured in the following video. 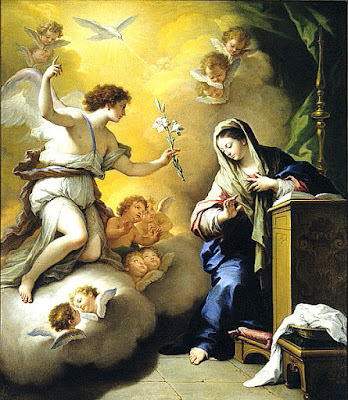 God's Virgin Mother, full of grace. Declares that Christ his Lord has come. For us is born a mortal child. is there redeemed, our sacrifice. The mysteries they had never known. PROPER OF SAINTS - Ruler of the Dread Immense! is a translation by the Catholic convert Fr. Edward Caswall (1814-1878) of Aeterne Rector Siderum by St. Robert Bellarmine, SJ (1542-1621). Bellarmine, one of leading Cardinals of the Counter-Reformation and was made a Doctor of the Church in 1931. Despite his extensive and pressing work in the theological and ecclesiastical matters of his day, he also found time to compose a number of poems in Italian and Latin. In the Roman Breviary Aeterne Rector Siderum is sung at Lauds on the Feast of the Holy Guardian Angels (October 2). Ruler of the Dread Immense! can be sung to Culbach, as featured in the following video. 1. Ruler of the dread immense! Maker of this mighty frame! With the freshly dawning skies. 3. King of kings, and Lord most High! Keep us from all sin this day. Fix securely peace at home. Us who put our trust in Thee. 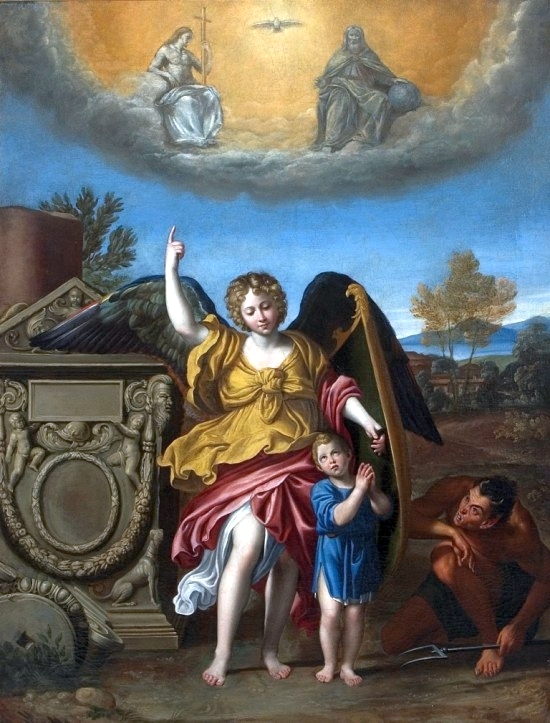 PROPER OF SAINTS - Angel-Guardians of Men is a translation by Alan G. McDougall (1895-1964) of Custodes Hominum Psallimus Angelos by St. Robert Bellarmine SJ. (1542-1621). Bellarmine, one of leading Cardinals of the Counter-Reformation and was made a Doctor of the Church in 1931. Despite his extensive and pressing work in theological and ecclesiastical matters, he also found time to compose a number of poems in Italian and Latin. In the Roman Breviary Custodes Hominum Psallimus Angelos is sung at Vespers on the Feast of the Guardian Angels (October 2). 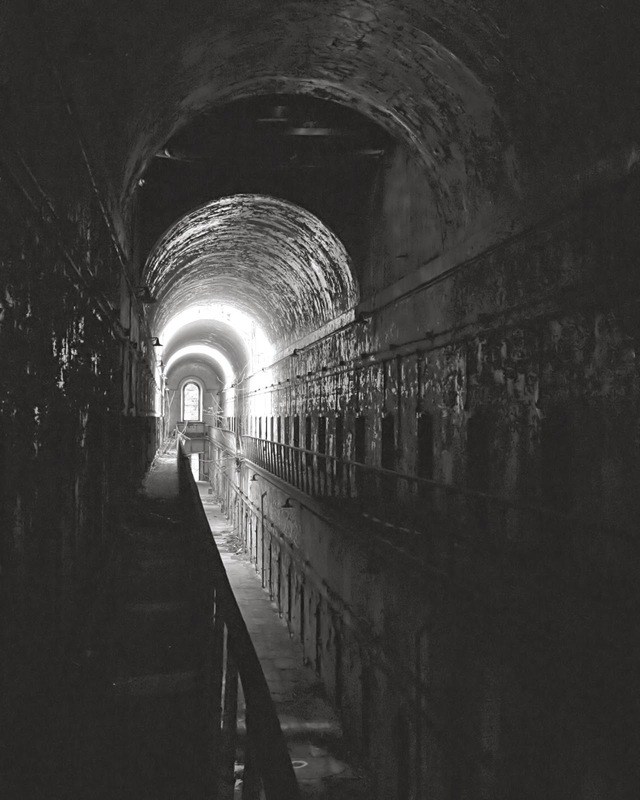 While the ages unending run. CUSTODES HOMINUM PSALLIMUS ANGELOS by Robert Bellarmine SJ. PROPER OF SAINTS - Christ, of the Angels' Praise and Adoration is a translation by the Anglican priest, Fr. Thomas Isaac Ball (1838-1916) of Christe, Sanctorum usually ascribed to Rabanus Maurus (c.776-856). Educated under the Carolingian scholar, theologian, and poet Alcuin of York, Rabanus Maurus was ordained a priest in 814, then made the Abbot of the Benedictine Abbey at Fulda in 822, and after retiring was appointed Archbishop of Mainz in 847. In the Roman Breviary Christe, Sanctorum is traditionally sung at Lauds on the Feast of St. Michael the Archangel (Sept. 29). 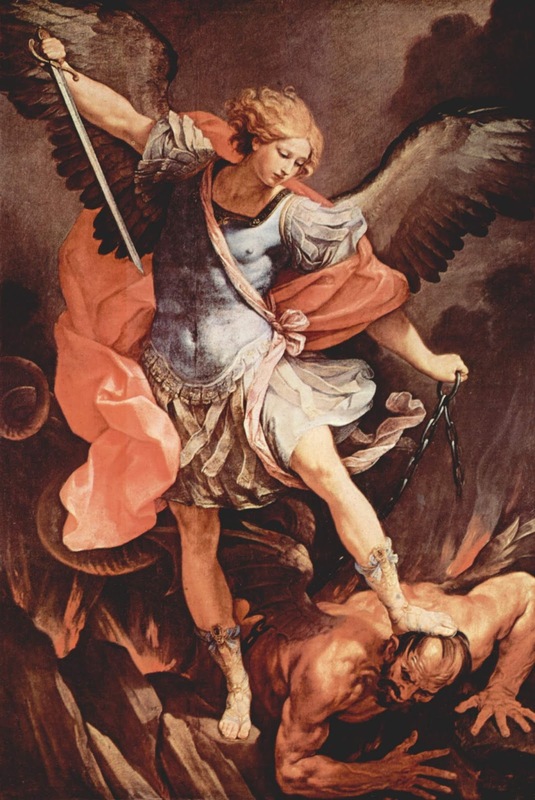 Both Christe, Sanctorum and Christ, of the Angels' Praise and Adoration can be sung to the tune: Christe Sanctorum, an old French church melody first published in the Paris Antiphoner (1681). 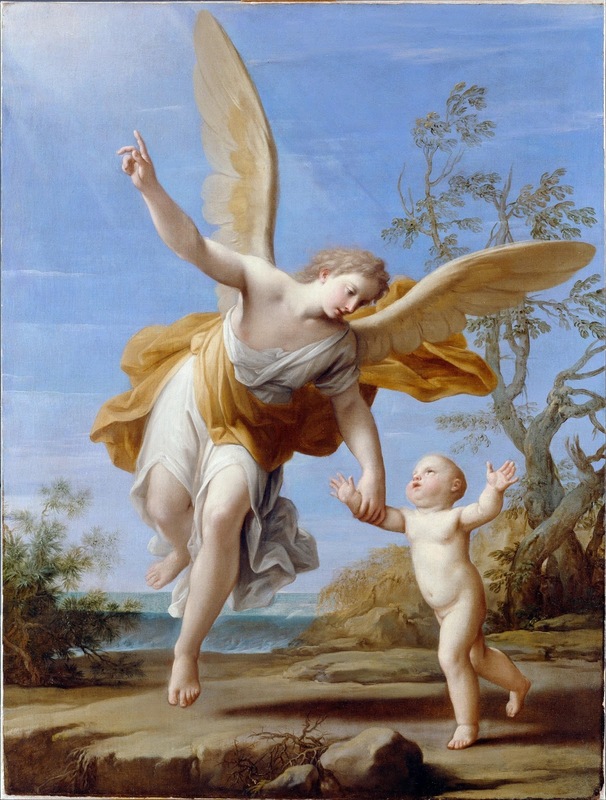 PROPER OF SAINTS - The Feast of Guardian Angels is celebrated on October 2. 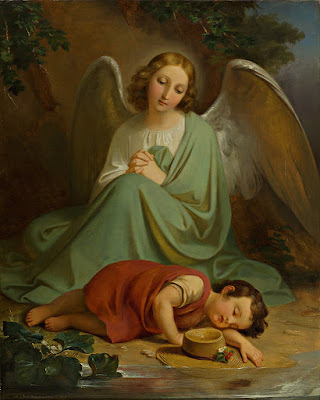 It was added to the Roman Calendar in 1608 by Pope Paul V. Paragraph #336 of the Catechism of the Catholic Church states this regarding Guardian Angels: "From its beginning until death, human life is surrounded by their watchful care and intercession. 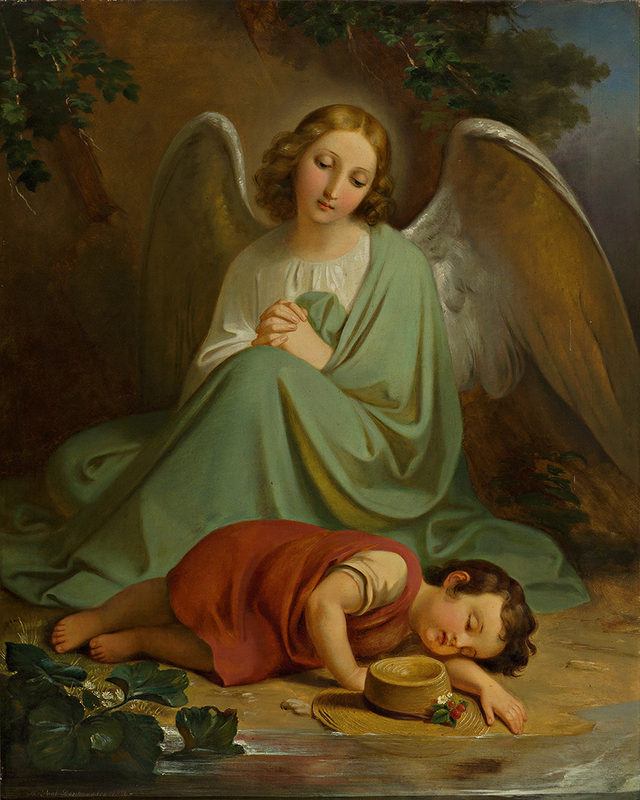 'Beside each believer stands an angel as protector and shepherd leading him to life' - St. Basil. Already here on earth the Christian life shares by faith in the blessed company of angels and men united in God." PROPER OF SAINTS - Thee, O Christ, the Father's Splendour is a 1851 translation by the Anglican Priest, Fr. John Mason Neale of Tibi Christe Splendor Patris usually ascribed to Rabanus Maurus (c.776-856). Educated under the Carolingian scholar, theologian, and poet Alcuin of York, Rabanus Maurus was ordained a Priest in 814, then made the Abbot of the Benedictine Abbey at Fulda in 822, and after retiring was appointed Archbishop of Mainz in 847. In the Roman Breviary, Tibi Christe Splendor Patris is traditionally sung at Vespers and Matins on the Feast of St. Michael the Archangel (Sept. 29). Thee, O Christ, the Father's Splendour is sung to the tune: Unser Herrscher by the German composer Joachim Neander (1650-1680). Related: O Jesu, Life Springing of the Soul / Te Splendor et Virtus Patris. Cast Abaddon from on high. PROPER OF SAINTS - O Jesu! Life-Spring of the Soul by the Catholic convert Fr. Edward Caswall (1814-1878) is a translation of Te Splendor et virtus Patris usually ascribed to Rabanus Maurus (c.776-856). Educated under the Carolingian scholar, theologian, and poet Alcuin of York, Rabanus Maurus was ordained a Priest in 814, then made the Abbot of the Benedictine Abbey at Fulda in 822, and after retiring was appointed Archbishop of Mainz in 847. 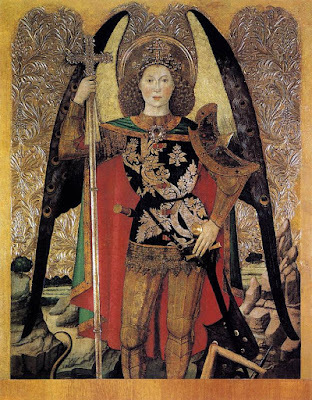 In the Roman Breviary, Te Splendor is traditionally sung at Vespers and Matins on the Feast of St. Michael the Archangel (Sept. 29). It can be sung to: Winchester New (as shown below) or any tune in 8.8.8.8 metre. Related: Thee, O Christ, The Father's Splendour / Tibi Christe Splendor Patris. 1. O Jesu! Life-spring of the soul!